Kristin is the proud Owner and Director of Xpress Yourself Dance Studio. At the young age of three she began her training in South Florida where she studied in several disciplines including: tap, jazz, ballet, pointe, lyrical, acro and hip-hop. During that time, Kristin competed at many dance competitions where she won numerous awards for her achievements. Kristin continued her studies at the University of Tampa where she obtained a degree in both Performing Arts and Business Administration with a minor in Dance Theater. She also added modern and ballroom to her repertoire. While in college, in addition to performing, Kristin began her career as a choreographer and teacher. During her sophomore year, she was named "Choreographer of the Year" and by her senior year was named "Dance Student of the Year" at the Academic Awards Ceremonies. After college, Kristin moved back to South Florida and has taught and choreographed for students at several studios in the local area, earning many teaching and choreography awards. Kristin was also a dancer/singer/actor in Rome Saladino's production of "Singin' and Dancin' in the Rain." While she loves being on the stage, her passion for teaching comes first and foremost. Kristin continues to keep herself current in the Dance Community by attending events such as the Dance Teacher Summit in New York City and other conventions. Her competitive team at Xpress Yourself Dance Studio has achieved Entertainment, Outstanding Performance, People’s Choice and Class Act Awards. Every student that walks through her doors earns a special place in her heart. From babies to adults, Kristin does all that she can to give her students a quality dance education. Marisa has been dancing since the age of two and hasn’t stopped since. Marisa comes from Melbourne, Florida, where she was the Dance Director at Suntree Dance Academy, Founder of the Bayside High School Dance Team, and ran the Brevard County Dance Competition. She has received her Bachelor’s degree in Business from Florida State University. Marisa developed the original “Tiny Toes” program taught here at our school. This successful program is now in its 14th year. Thanks to Miss Marisa our littlest dancers, ages 18 months to 2 ½ years, can experience the joy of dance. In addition to teaching her Tiny Toes and Pre-School classes, Marisa also works with our Beginning Dance Company members as well as co-runs the Performance Team alongside Miss. Kristin. You may also find her at our front desk, as she is our studio’s Office Manager. We are grateful that Miss Marisa is a part of the team here at Xpress Yourself Dance Studio. Racquel's dance training began when she was 3 years old and she hasn't looked back since. At an early age, Racquel became involved in the dance competition circuit and has won a National Championship along with many individual awards such as winning the "Edge" scholarship from Tremaine, being a part of Adrenaline's Tap Crew, becoming a part of Step It Up Dance Workshop, which took place in Hollywood, California and just recently dancing in a showcase for World of Dance. Racquel's love for dance is apparent as she still keeps up with dance classes today, learning new techniques and styles for herself and her students. Racquel has excelled at many different dance disciplines which include jazz, ballet, tap, acro, hip hop and ballroom. Racquel is currently a student at Florida Atlantic University where she is majoring in Communications and minoring in Theatre. Over the years, she has been involved in plays, music shows, dance shows and even one of her great accomplishments of singing at Carnegie Hall with her High School Chorus Department. Racquel is working as a "Volley Girl" (Ambassador of Tennis) for the Delray Beach Tennis Center. She also works as a model and a Party Motivator for Jammin Express Entertainment. Racquel's love for the arts crosses many artistic boundaries. Her dreams for the future are endless as she constantly strives to be the best that she can be. Born in Georgia, raised in Miami. Miraj began his dance training on the streets of Atlanta. Never fearing away from competition, Miraj sought out to battle anyone that was willing. This helped to develop his freestyle skills as a dancer while broadening his prespective as a choreographer. Miraj soon moved to Miami and was accepted into New World Performing Arts High School for Musical Theater. Continuing from there, Miraj expanded his career by dancing as a back up dancer for artist such as Jamie Foxx, Flo Rida, and Katy Perry, where he also did choreography. Miraj was also in a few major movies such as Stomp The Yard featuring Chris Brown and up and coming film Dance Like Me featuring Shane Sparks and Paula Abdul. Miraj currently teaches at several of South Florida's most elite dance schools where he has choreographed several award winning hip hop numbers. Alana began dancing at age two and is one of Xpress Yourself Dance Studio’s Company Alumni. She has trained in Tap, Jazz, Ballet, Pointe, Contemporary, and Hip-Hop and has been competing for over thirteen years. Alana has achieved numerous overall top scores for tap solos, has been awarded Studio Dancer of the Year at Tremaine Convention, placed 1st at Legacy Nationals for her pointe solo, and was awarded the Broadway Bound Award at On Stage America Nationals. She has been a recipient for the Broward County Arts for the Future Scholarship, CoDance Convention Scholarship, and Harlequin Floors Scholarship. Alana has worked as a Party Motivator with Jammin Express Entertainment and Laurence of Florida. Currently Alana attends Florida State University, as she works towards a degree in Business Marketing. 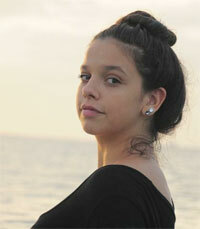 While at school she is on the competitive dance team Seminole Dance Force and is President of Seminole Tap Troupe. Soon Alana will be performing in a graduate’s thesis show with Florida State’s School of Dance. Alana has grown from student to choreographer as she teaches dance from preschoolers to adults. Alana is always humbled to come back home to Xpress Yourself Dance Studio. Erika Talley was born and raised in South Florida. She found her love for dance at the age of 3 and began her training in Ballet, Tap, Jazz, Lyrical, Acro, and Hip Hop. By age 13 she began assisting in weekly classes and quickly grew her passion for teaching. Erika who also had years of experience being a competition kid herself, began choreographing and traveling to local and national dance competitions. Erika took her dance certification through Florida Dance Masters and a few years after that opened her own studio. Throughout those 6 years her students won numerous Scholarships, Overall High scores, Special Judges Awards and many more achievements. Some of her former students went on to being a part of College Dance Teams, Cruise Ship Dancers, Local Pageants, and Dance Teachers themselves. Erika now a mother of two girls has passed on her love for dance and looks forward to being a part of the Xpress Yourself Dance Family. Rosanne owned and operated a dance studio with three locations in the Pittsburgh, PA area for over 20 years. She was on the Board of Directors of Dance Masters of PA #10 for over 30 years severing as President for two terms and is also a member of Ceccehetti Council of America, Dance Masters of America, Dance Masters of Florida and National Twirling Judges Association. Rosanne studied at Broadway Dance Center, Steps, Luigi’s and ABT. She’s attended Dance Masters of America’s national conventions for the past 30 years as well as the Teacher’s Training School and holds a continuous education with Dance Masters of America. Rosanne is delighted to introduce students to the wonderful world of dance and hopes to touch students’ lives in a positive way while exposing them to the art of dance. Jessica Henderson has been in the dance community for 35 years and has taught for 21 of those years. As a dancer, she has appeared on Star Search in 1993, The New Original Amateur Hour and on WDZL as cool kid of the week. Jessica has received numerous scholarships to both LA and New York to take classes with teachers such as Mia Michaels, Tyce Diorio, and Doug Caldwell. She has also received scholarships to tour around the country with Tremaine dance convention where she also assisted and performed in their end of the weekend showcase. As a teacher, she has won numerous choreography awards and many of her students have won overalls and scholarships. Jessica is excited to join the XY staff this year where she can pass on her expertise and enthusiasm for dance with her students! Cheyenne has been dancing for over 13 years, starting when she was 5 years old. She has trained with many master instructors throughout South Florida in various styles including hip hop, jazz, contemporary and tap. Cheyenne is currently pursuing her dreams as a young choreographer and teacher. She hopes to be a mentor and inspiration to all her students. Cheyenne’s purpose as an instructor is to help her students understand their full potential as a dancer and the passion that can blossom from it. Yovanny was born in New York and raised in south Florida. He found his passion for dancing at the ripe age of 14. Wanting to become a jack of all traits he trained in ballet, jazz, contemporary and ballroom. He then successfully transitioned into the competitive side of dancing having the honor becoming the First Place Title Winner at competitions including Revolution, Showbiz and Starbound regionals. He was also invited to dance in the World of Dance Competition. Yovanny later ventured into the world of Hip-Hop and fell in love! He began teaching at several competition studios and later became a part of the Marlins Energy Team in 2016. After gaining experience, he had the opportunity to star in music videos for Andrea de Lima and Kira Silverberg. He also got to work with Telemundo for charity events and has done other various guest performances. Additionally, Yovanny is a certified ballroom instructor at Fred Astaire Dance Studio where he teaches Waltz, Foxtrot, Tango, Argentine Tango, Rumba, Swing, Cha-cha, Salsa, Merengue and Bachata. 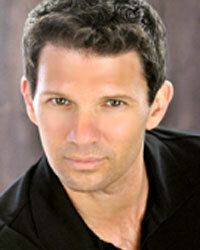 His passion for dance is absolute and he hopes to instill that same fire in his students!